I’m a stickler for time and detail… and anything techie that catches my fancy has the minimum requirement of: 1) being time-efficient and 2) being tailor-made to suit my simplest of needs. I’m happy to share that I have finally discovered THE online communication tool that best fits my style. 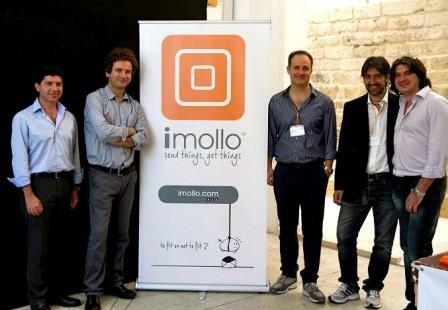 imollo was designed by a team of Italian experts in communication technology that believes in crafting a practical solution to the most urgent and usual concerns of online information exchange. It has been adjudged 1 of only 15 finalists in the Unicredit- and Confindustria-sponsored Talento delle Idée 2012 (Talent of Ideas) in Europe, and it has recently been launched here in the Philippines. imollo is the single platform that seems to have addressed, in every fine detail, all my communication needs – from sending huge files with ease, eliminating threats of virus attacks and inundation of spam and ads, chatting with convenience and directness (goodbye needless emoticons and unwanted requests from strangers), to the assurance that I spend the least possible time glued to the computer screen doing my daily online tasks. It is an effective alternative to email attachments, thereby relieving me of the hassles of having to send several messages due to email providers’ attachment size limitations or the laborious task of zipping folders and ensuring my recipients successfully unzip them. With imollo, I can send files up to 500mb per transfer to one or more contacts who may be online or offline at the time of my transfer, and I automatically save the file in cloud storage for free. No registration fees upfront, no storage fees while other providers charge beyond 2GB of hosting, and absolutely no hidden charges even after I have successfully and satisfactorily availed of the services. Currently on its 2.0 version, everyone running on Mac, Windows, or Linux platforms can enjoy imollo and its efficient, easy, fast, safe, and free service. All you have to do is download the imollo app at www.imollo.com, install the programme, create an account, add your contacts, and you can immediately start sending and receiving files… fast, safe, and hassle-free. Try it today and experience the liberating feeling of having more time at your disposal. Less time working online means more time enjoying all that your heart desires whether that’s whipping up a new dish to be shared with loved ones, enjoying a round of golf, strumming a guitar, scribbling a letter, playing with your kids, or sipping rosé as you quietly watch the breathtaking sunset. Discover imollo today… I’m certainly glad I did! Visit the official website for more information, follow @imollo on Twitter for updates, and like us on Facebook.